At Total Soft Water we try and make the process of purchasing a water softener as easy as possible. We have an extensive knowledge of the water softening industry and we stock all types and brands of softeners to cater for all types and sizes of homes. Our fully trained staff can help and advise you as to which is the best solution for you. 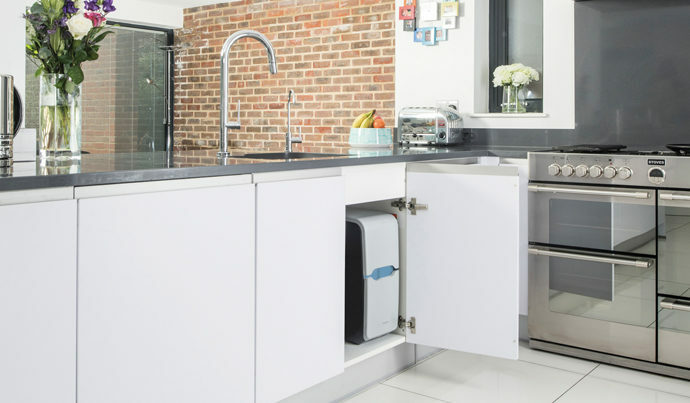 When you visit one of our showrooms we can show you the wide variety of models available and demonstrate the benefits of having a water softener. From a simple single cylinder, electric system through to the market leading Kinetico non electric, block salt systems, or even a specially designed high flow, large house/small hotel system Total Soft Water can help. Our installation teams are experienced, friendly, clean and tidy and always receive praise from our customers (see our Recommendations page) so you can be assured of a high quality, hassle free service at all times. Total Soft Water are the leading supplier of the Kinetico range of non electric water softeners in the UK. The Kinetico systems, which include the market leading Kinetico 2020C, offer unrivalled performance in terms of their quality, convenience, efficiency and longevity (many of our customers have Kinetico systems which are over 25 years old). Visit your local shop and we will gladly explain the advantages of the various systems so you can decide which is best for you.